Inter Arma think big. To understand just how big, it’s best to take a look back at 2014′s The Cavern. Marketed as an EP but arguably an epic doom metal opera, The Cavern is a single track that runs a stunning 45 minutes, encompassing everything from atmospheric acoustic moments to blistering outbursts of classic thrash, and all manner of atmospheric sludge erupting from the sulfurous ground beneath, their ominous earthly ritual yielding three quarters of an hour of terror and transcendence. 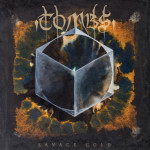 It’s a bit of an understatement to say that a band capable of crafting their own 45-minute opus of artful heaviness, progressing in various movements with emotional and volume-knob highs and lows, is ambitious. And that’s not even a proper album, if you subscribe to the letter of the onesheet. When Inter Arma does commit to the scope and expanse of a traditional long player, their scope extends well beyond the limits of the comfort zone of your average modern metal band. 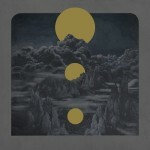 That’s perhaps a given for any band schooled in the lessons of mystical, apocalyptic sludge a la Neurosis or Yob, and the Richmond, Virginia quintet have no doubt undergone their share of silver-in-blood oaths. Yet there are few direct antecedents for the kinds of psychedelic visions and visceral beauty that Inter Arma exorcise on third album Paradise Gallows. They’re primal and raw when slowed to a crawl, lucid and immediate when launching their way into blast-beat intensity, and utterly hypnotic at their heaviest. 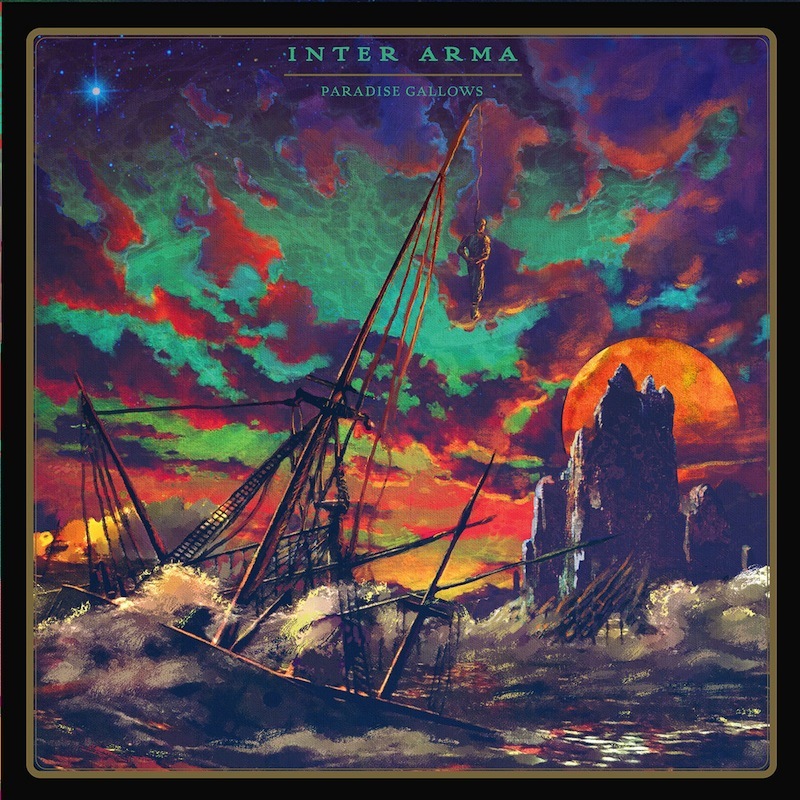 Inter Arma subverts expectations at every turn, yet exercise that penchant for surprise methodically, turning each sprawling and thunderous dirge into a journey that reveals an increasingly brilliant endpoint as it chases the horizon. Their most massive album to date, surpassing their comparably expansive Relapse debut Sky Burial, Paradise Gallows is an album that reveals itself slowly. It does so both literally—many of their songs restrained to a scorched-earth crawl of double-digit-and-plummeting BPMs—and structurally, the first of its four acts a menacing crawl through their darkest sludge. The brief, Pink Floyd-inspired intro “Nomini” is the only moment of pause or meditation within the first 20 minutes and change, and once that brief window of grace closes, the band charts a path through the most toxic of waters. Mike Paparo’s lyrical yearning parallels the claustrophobic churn of “An Archer in the Emptiness,” as he bellows, “Oh how I long, for a solitude so pure.” And similarly, in “Transfiguration,” Paparo seeks a spiritual destination beyond a terrestrial prison: “We must transform the core of spirit/And guide our souls to the light of wisdom.” As his roars echo into the void, Trey Dalton and Steven Russell’s guitars pulse and chug in an almost looping formation, creating the illusion of flames licking ever higher. The deeper one descends into the tracklist of Paradise Gallows, the more it opens up, revealing a whole spectrum of approaches and stylistic shifts as a reward for only those prepared to endure the murk and menace that precedes them. 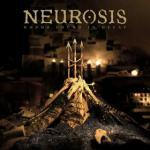 For how punishing and raw the album is in its earliest moments, its musical adventurous appears to spiral outward, from the climactic refrains in “Primordial Wound” on out to the closing neofolk dirge “Where the Earth Meets the Sky.” What happens between those moments is a revelatory progression, revealing not just some of the boldest sounds in heavy music right now, but some of the best songwriting as well. “The Paradise Gallows” is a prime example of how Inter Arma balance power with grace, its haunting melody a cinematic noir blues that establishes a kind of sinister beauty long before introducing the first moment of full-blown ferocity. There’s a greater sense of urgency to “Violent Constellations” but no fewer moments of stunning surprise. Its 11 minutes reveal Inter Arma at full intensity, chasing a psychedelic vortex via blast beats and galloping arpeggios as Paparo quotes Rainer Maria Rilke (“We violent ones, we last longer”) and Waylon Jennings alike. The album’s most immediate moment, “The Summer Drones,” is also one of its most concise (and one of its best), ushering in a Swans-like acid-post-punk triumph in half the length of the album’s other peaks. Paradise Gallows is a big statement from a band that seems incapable of anything less. But it’s not the sheer magnitude that makes it such a compelling piece of music. It’s in the details therein, the moments that hang in time as their harrowingly beautiful terrain passes by. With each of their albums, the whole often feels greater than the individual parts, but each piece on this album is a powerful self-contained work of its own. Taken together, they reveal a broader panorama that’s both chilling and awe-inspiring, laying out a darkly fascinating path forward.